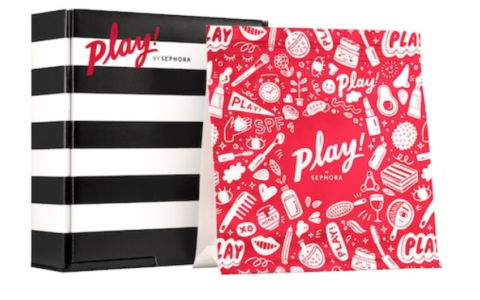 There was a standard information card in the box listing the items, as well as a second card encouraging you to share on social media. The information card says this is probably one of my most-used emojis. I never actually use emojis (I don’t text and I don’t have a smartphone or tablet, plus I prefer to communicate using actual words), but I understand the sentiment! This has already gone into the bundle of keys, discount cards, and keychains I carry around. I got one of these in KitNipBox this month, too – same exact toy. Luckily, it’s pretty small and feathers are always a hit with my cats, so it has already gotten played with a bit. These have catnip and cat grass plus wheat, oat, and rye grasses. I am thinking I will plant these in pots in the house because a lot of my neighbors let their cats roam loose (not something I recommend) and I don’t need any more of them using my yard as a litter box. But then I can keep them in a sunny room where the cats are not allowed and bring the plants out as an occasional treat. My cats have had this brand of treats many times in the past and they’re always quite popular. These are semi-moist treats in a resealable bag and they don’t stink, which is always a plus. My cats are all indoor cats. Outdoor cats do not live anywhere as long as indoor cats – there is much more risk of trauma (getting hit by a car, for example), predators (lots of suburbs have coyotes now), infectious disease, parasites, etc. (Before I found her, Sneaky was outside for probably just a few days. She had a massive flea infestation that she passed on to the rest of my cats, as well as roundworms!) So I definitely support this tote’s message! Despite the number of totes I seem to get in subscription boxes, I can never find one when I need it, so this is welcome. As usual, Monkey was there to “help” me take photographs. Mr. Kitty was a bit grumpy this day. But he was up for some chin scratches. Verdict: I calculated a value of about $42 for the July 2016 The Cat Kit. That is a little bit above the cost of the box, and some of the prices quoted above are sale prices. Plus, you’d have to pay separate shipping to order the Etsy items. So I think this is a pretty good value. I liked all the items, and my cats especially enjoyed the treats. This is a fun box for people who like cats and I think it would also make a good gift. 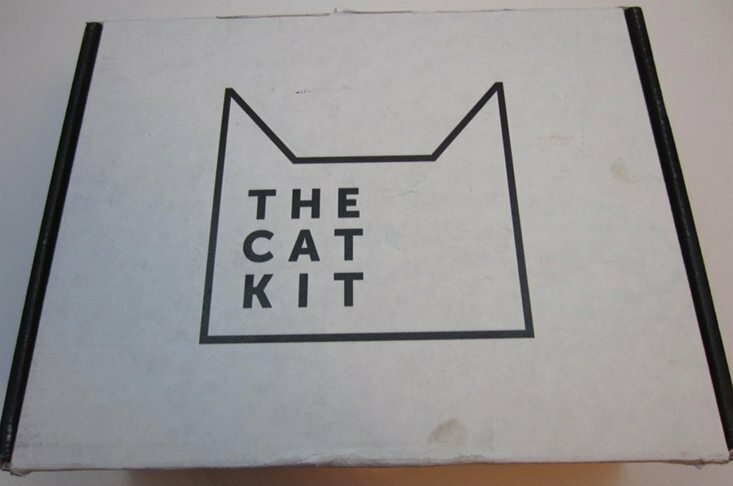 What do you think of July’s The Cat Kit? Do you subscribe to any cat boxes? For those of you that swap, just be aware that there is one user that continuously lists items from this box (and some others) that have never been featured items. There has only been 2 boxes of this sub so far and neither have included cat pens, cat tape dispensers, or cat scarfs. The pens (if not others) are being purchased from places like aliexpress for like 50 cents each and listed for nearly $7 dollars for free. As soon as the listings are flagged and taken down she lists them again. Sad to say that you need to do your research and be cautious about swapping, especially when it’s items that have not ever been posted by others and are repeatedly listed over and over again in multiples by the same person from less well known or cancelled subs. Mr. Kitty is such a sweet little baby ? Possibly unpopular POV: we got our cat in Germany from a no-kill shelter (kill shelters are outlawed anyway, as is declawing for that matter). She was found outside and while we lived in Germany, she spent most of the day outside as long as it was warm. In winter she typically stayed in. Since moving back to the States, the vet has made it clear she doesn’t approve, but you know what? She is a hunter. She loves being outside. And we’ve tried to keep her in but she just cries and cries all night. I grew up with indoor only cats, but for a cat who is used to going out long before we got her, it’s just not fair to her. My friend’s cat (also lived in Germany) has to stay inside now because my friend moved to northern IL, and there are all kinds of predators there. He’s not allowed out for a second, and his entire personality has completely changed, to where he appears depressed and despondent. Again, he started off as an indoor-outdoor cat, vice strictly indoor. I have a dog door where my cats are able to go in and out whenever they want. Two of my cats prefer to stay inside most of the time and two prefer to be out in the yard. My vet personally thinks it’s fine – says he lets his cats go in and out also. I still can’t believe they’re boxes for “cats”, I’m not a pet person but I can see the allure and need for this. A treat for your furry family member. Nice review, Ragan! My cats are strictly inside but sometimes try to escape. My parents 15 year old cat is outside during the day and inside of a night, she never leaves the yard though and they live down a gravel road. My in-laws cat just passed but was 22 and always outside. They do have a doggy door going into their garage though so she was in there with the dogs if we had nasty weather. Most of the time she was on the back deck. In my experience female cats make better outside cats because they don’t wander like males. (At least when you live in the middle of nowhere) Since I live in town now I wouldn’t want a cat outside because of the busy roads. I have a cat with IBS and I have found catnip very beneficial to her. And cat grass has been helpful too. Cat grass helps their digestive system. I wonder if it’s because catnip is a close relative to peppermint which can help settle stomachs in humans? My “indoor cat” is an agile door darter and just ran outside this morning. We live in a wooded area and nothing I seem to do can prevent ticks! It is horrible. I can usually stop him, but I had my hands full of a 17-pound terrier who came home from the hospital yesterday. He took full advantage. My Lucy does this, she will take advantage of anything to get outside. Then she usually hides under the car or the porch.